The past two years have been volatile for investors in virtually every market, but they have been particularly unkind to investors in China. 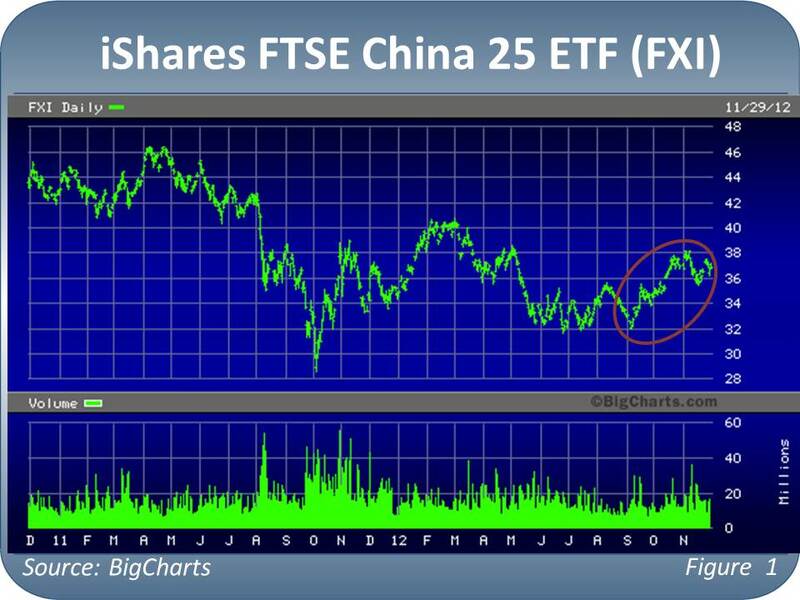 Chinese stocks, as measured by the iShares FTSE China 25 Index ETF (NYSE:$FXI) spent most of 2011 and 2012 in a downtrend, though in the past two months they have shown signs of life. Should investors take this rally seriously? Or is it yet another fake out destined to burn them? Right now, the upside potential in China far outweighs the downside. China is a buy. You’re probably raising your eyebrow right now, but hear me out. China is one of the cheapest markets in the world right now. Chinese stocks trade for just 7 times earnings, less than half the valuation of American stocks as measured by the S&P 500. And at the same time, sentiment towards China is downright horrid. It’s hard to find anyone who is actually bullish on China these days. A Google search for “China” and “hard landing” returned over 3 million hits. I know, I know. You can’t take Chinese earnings seriously because they cook their books. Fair enough. I actually agree that you have to take most Chinese data releases with a grain of salt. But many of FXI’s core holdings—such as China Mobile (NYSE:$CHL), the largest mobile phone company in the world by subscribers—trade in the United States as ADRs and meet international reporting standards. And when they are priced as cheaply as they are today, there is certainly margin for error if earnings reports are a little on the aggressive side. Furthermore, the macro picture in China—which was never nearly as bad as the media hysteria would have suggested—appears to be stabilizing. The China Manufacturing Purchasing Managers Index improved in November—the first improvement in 13 months—and profit among Chinese industrial companies rose 21% last month. China is still far too dependent on capital spending and exports; for the country to have anything resembling a balanced economy it needs to see the consumer sector playing a more prominent role. But for now, I am comfortable investing in China. Buy FXI at market. But use a stop loss or a trailing stop to protect yourself in the even that investors get spooked again and send shares lower. While I am bullish on China at this time, a Eurozone “blow up” or a turn for the worse here in the U.S. could spill over into the Chinese market. A 15-20% trailing stop should be sufficient for now. If investors “rediscover” China, we could see 50-100% gains over the next 12-24 months if recent history is any guide. Sizemore Capital has no positions in the stocks mentioned. This article first appeared on TraderPlanet. ← With the Economy Recovering, Are Higher Rates Imminent?